Well this is interesting: GOG.com, the digital retailer best known for selling old games without DRM, is branching out into film and TV. 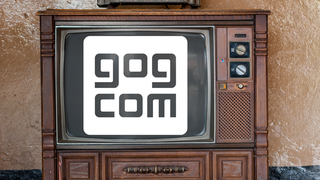 GOG will launch the service with some 20 indie documentaries about gaming and internet culture. The current lineup includes Indie Game: The Movie, Good Game, and Please Subscribe, among others. It's an interesting step in the battle between GOG.com and its biggest competitor in the world of virtual game stores, Steam. Earlier this year, GOG announced plans to launch an online gaming client called GOG Galaxy, which offers much of what Steam does, minus any DRM or copyright restrictions. GOG's people say they've had discussions with film studios about selling some of the bigger shows and films, though they haven't secured anything yet.